A wedding car is the best solution to the issue of transportation of your wedding party and for your own comfort. A wedding car is a great place where you can compose yourself before experiencing the most special moment in your life and enjoying the memories of all the excitement after the wedding. 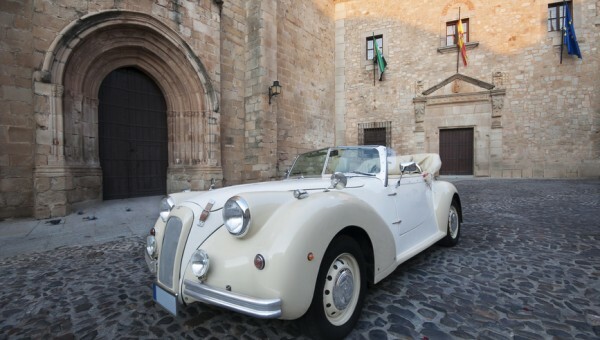 However, if you choose to hire a classic vintage wedding car, it’s a great choice because the classic vintage wedding cars have the ability to add that unique charm and romance to your big day that comes with their antiquity. Hiring a vintage car can be more complex than a modern car hire. Here are tips to get your hands on just the right one. Once you decide to hire a vintage car for your wedding, it’s better to look for a model that has a special meaning, like the same model your parents chose for their wedding, or a model that was made in your birth year, or a car your grandfather used to drive. This will make the whole process of hiring the vintage car lot more meaningful. Check your venue if it has suitable parking arrangements for your vintage car, because vintage cars are usually larger in size than the modern ones and can be more difficult to maneuver. Therefore, make sure that your chauffeur will be able to park and move it comfortably. While organizing your schedule with your chauffeur of picking you up, you should set aside enough time to take photos and then leave for the ceremony. Even you can keep aside time for practicing to get in and out of the car wearing your bridal dress as you might not have an idea of the size and shape of the vintage car and it’s advisable to practice a grand exit. Vintage cars are full of charisma and character and so, you should include it in your wedding photos as a beautiful backdrop. Especially if you take a number of couple shots in black-and-white or sepia, they will add the vintage charm to your wedding album. Discuss with your wedding photographer about the various possibilities in advance. 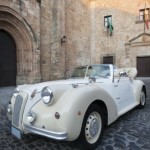 Visit ClassicVintageWeddingCars.co.uk for getting a wide choice of beautiful vintage cars for your wedding like Bentley, Beauford, Rolls Royce, Morris Minor and more.